Their mission: to keep our processed food clean and unsoiled. The adversaries: unlicensed manufacturers and unsanitary raw materials. <>As cliché as it sounds, we Filipinos love to eat a lot. That is why a great number of restaurants keep offering discounts or special offers for those food lovers out there. Making sure of cleanliness, however, is something that’s out of our hands. Enter the Food and Drug Administration (FDA), our silent guardian, the watchful protector of our food. 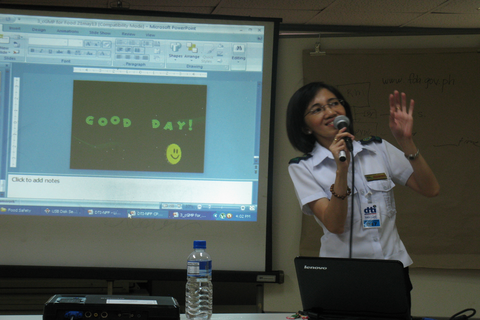 The FDA recently held a seminar last Tuesday May 27 at the Department of Trade and Industry (DTI) in Makati City. Food safety and how to acquire FDA certificates were the lectures given by the government agency to educate would-be food manufacturers and distributors. The speaker, Food-Drug Regulation Officer III Maria Theresa Correa-Cerbolles, emphasized the important role of FDA inspectors in maintaining the cleanliness of our processed food before it goes to our plate. According to Cerbolles, the FDA’s mission of protecting the consumer’s health and ensuring the efficacy and quality of all the products manufactured is implemented through applying national policies consistent with international best practices in food handling and processing. A step-by-step procedure for food manufacturers and food distributors on how to secure a License to Operate (LTO) from the FDA, as well as the necessary requirements needed for it, were thoroughly discussed. 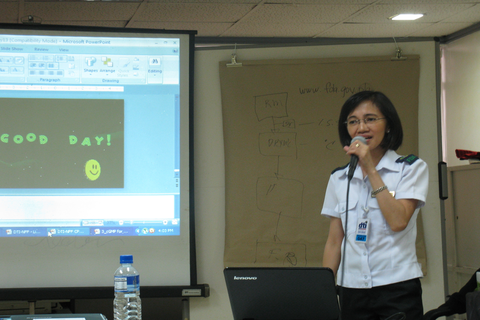 Tackled also was a tutorial on securing a certificate of product registration (CPR) for processed food. A product classification list categorized into two were provided by Cerbolles to give the attendees an idea of what specific goods must get an approval from the FDA before proceeding to the manufacturing and distributing process. Cerbolles also focused on the current Good Manufacturing Practice that should be followed by manufacturers, packers, repackers, or food holders to ensure the quality of the food and the safety of consumers. “Think of it as a good marketing for businesses. If your product is safe, then no doubt the people will buy it. It will be known in the country. Start right to get more profit,” Cerbolles said. The FDA is currently conducting the process of revising the general requirements and procedures for both the issuance of an LTO and securing a CPR for processed food. The revision is crucial in closing some loopholes in the process as well as helping alleviate the burden of struggling food manufacturers and distributors, particularly coming from the micro and small enterprises. For inquiries with regards to the new requirements and application processes for the LTO and CPR, or for those who are interested in attending other seminars by the FDA, visit their website at www.fda.gov.ph or email them at info@fda.gov.ph.